MainAll NewsJewish WorldHow can Israel be saved if it won't listen? How can Israel be saved if it won't listen? This week's Torah portion: Moshe's complaints to God teach us how a leader must lead. "Moshe spoke before Hashem, saying 'Behold the Children of Israel have not listened to me, so how will Pharaoh listen to me? And I have blocked lips.'" (6:12) A number of questions arise from this Posuk. 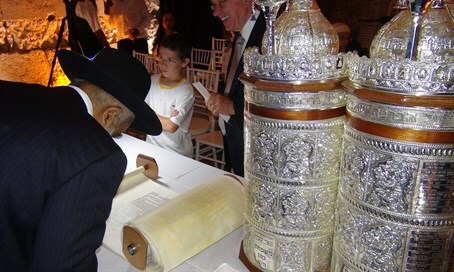 At first glance it appears that Moshe is questioning G-d, Almighty. He also seems to be complaining that the Children of Israel were not listening to him. This was the moment that Moshe became the Leader of the Jewish People. The Sefat Emet says that a Leader cannot lead unless the People 1)can listen, 2)want to listen and 3)want then to follow. Moshe was saying he wants to lead and do exactly as G-d Almighty asks but the back-breaking labor the Jewish People endured would not allow them to listen even if they wanted to. A Leader is only as good as the People he leads. Most politicians fail to recognize this fact. If the People are not listening then the Leader is not worth his weight. This is what Moshe is saying to G-d. His lips are blocked because the People cannot hear him. They are being tormented to the breaking point. Moshe was not questioning G-d. He was communicating the dire situation in human terms. Rabbi Nison Alpert of Blessed Memory, brings down the Ohr Hachaim on the Posuk, "Hashem spoke to Moshe and Aaron and commanded them regarding the Children of Israel and regarding Pharaoh, King of Egypt, to take the Children of Israel out of the Land of Egypt" (6:13) . According to the Ohr Hachaim , G-d is responding to Moshe's concerns that neither Pharaoh nor the Jewish People will heed what he has to say. Hashem responds by declaring that Moshe is their Ruler. This is when Moshe has to fully assume the mantle of Leadership. Rabbi Alpert Z'TL asks the question how does this answer address Moshe's concerns. Rabbi Alpert answers, G-d is telling Moshe that in order for the People to listen it is up to Moshe to make himself into a Leader. Rabbi Alpert Z'TL says the more he makes himself a Leader the more the People will listen. This is the other side of the coin. On one hand a Leader needs the People to be conducive to listening (Sefat Emet) and on the other hand a Leader must assume the role of a Leader( Rabbi Alpert). He must be creative and innovative. He must rise to the occasion and rise to the challenge. G-d did not want a Leader who simply followed orders. He wanted a Leader who could think on his feet and figure things out, solve problems and deal with the day to day.